The Shogher Chapter was established in Houston, Texas, in 1981. Aida Chinkirian was instrumental in starting up the chapter and leading it, while she lived in Houston. The chapter has held special programs for the community, particularly the youth. They have held special Christmas programs, and other fundraisers, such as ornament exchange and pot luck dinners, to connect with the community. The chapter hosted two Annual Regional Conventions in Houston, the 68th in 1988 and the 81st in 2001. 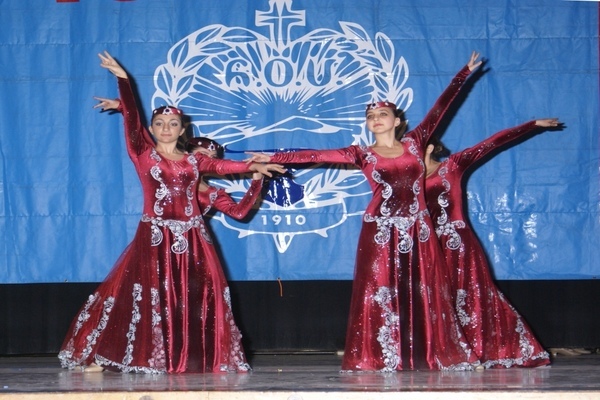 In 1988, the occasion was the opening of the new Armenian Center in Houston; in 2001 it was the 20th anniversary of the chapter. The chapter celebrated the 25th anniversary with a dinner dance in 2006, when members received special service pin awards from the Regional Executive. Since the Houston community is relatively small, the chapter held a joint celebration of the ARS Centennial and the ARF 120th with a dinner-dance in 2010. Guests drove for three hours to be there from Dallas. The chapter has coordinated the sponsorship of 10 orphaned children in Armenia and Artsakh through the ARS Sponsor-A-Child program. The chapter continues to service those in need.